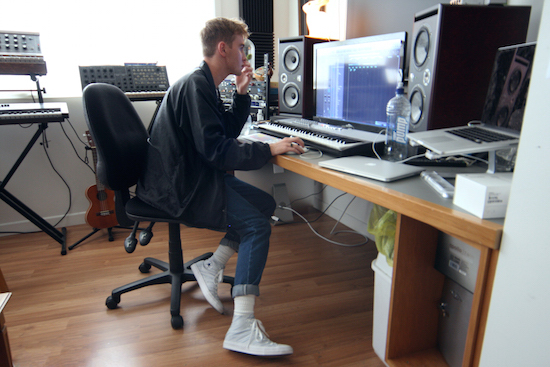 latest interview: Interview: Thomston x Converse. TV You could meet Millie Bobby Brown thanks to Converse. Fashion Finders keepers: Hello Kitty x Converse. Music Five times Zayn Malik embodied the Converse One Star as an anti-hero. Music Interview: Paige x Converse One Star. Fashion A One Star Carnival Collection appreciation post. Music A Zayn Malik x 'Rated One Star' appreciation post. Music Tyler, The Creator's new Golf Le Fleur* One Stars are out today! Music Tyler, The Creator set to launch new Golf Le Fleur* One Stars. Music Tyler, The Creator announces new Converse drop. Music Brockhampton x Converse, Spring 2018. Music Tyler, The Creator's latest Golf Le Fleur* One Star collection is out in NZ this Thursday. Music Tyler, The Creator teases new Converse shoes. Music Tyler, The Creator’s 'GOLF le FLEUR*' collection for Converse. Music Interview: Openside x Converse. Music Interview: Glades x Converse. Music Interview: Physical x Converse. Music Interview: ives. x Converse. Music Tyler, The Creator announces Converse partnership. Fashion Converse and JW Anderson announce collaboration. Fashion Converse announce Looney Tunes collection.